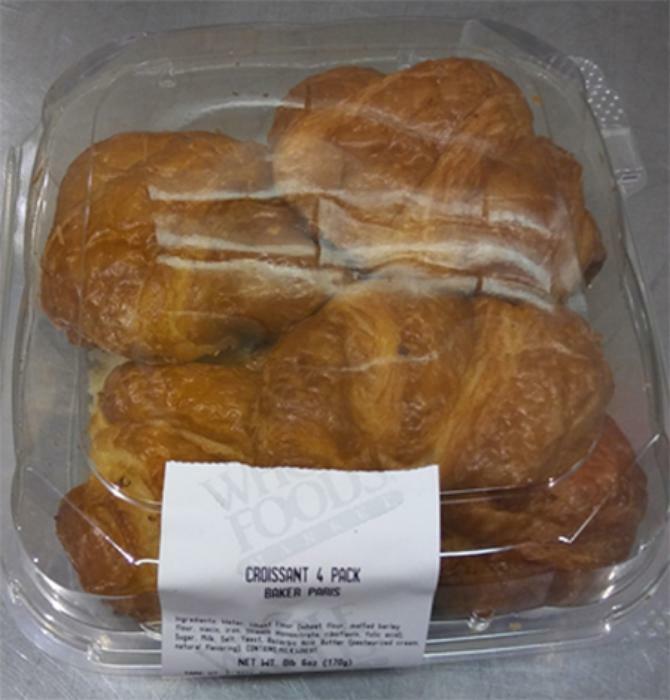 Bakers of Paris is recalling plain, almond, and chocolate croissants sold in 18 Northern California Whole Foods Market stores. Customers who purchased the recalled products at the above stores discard them and take their receipt to the place of purchase for a full refund. Consumers with questions may contact Bakers of Paris at 415-468-9100, ext. 2215 or by email at customer-service@bakersofparis.com.